We have had a lot of firsts this month and we are so excited to announce another one! Today we are participating in our first ever blog hop. This blog hop is huge, over 400 bloggers have signed up at I Am A Reader, Not A Writer. 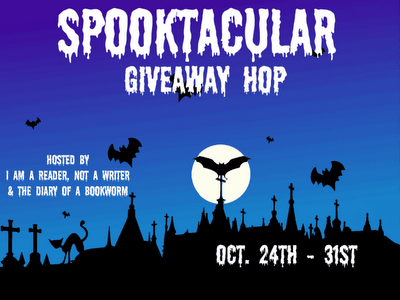 Each blog will be hosting a giveaway of a spooky book for Halloween. We have chosen to giveaway Death and the Girl Next Door by Darynda Jones. This book has everything including demons, ghosts, death, and nephilium. Pretty much what you would hope for in a spooky read right??! All you have to do is fill out the Rafflecopter form below to enter. 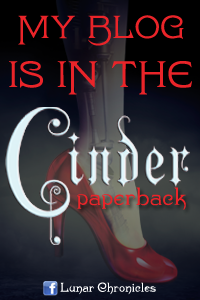 Be sure to check out the link below to see all the other amazing spooky books up for grabs! Good luck and happy blog haunting! Click HERE to see all the other amazing blogs participating in this blog hop! Thanks Kathy for putting this all together!! Thanks for the Giveaway! My fave scary book is Blackbrooke by Emma Silver! You are very welcome! Oh I will have to look into that one! Happy hopping to you too! Good luck! oh and I'm doing this hop, too! EEK! Yay I will check out your hop! I would say I Hunt Killers. More creepy than scary, but it kept me up at night. I can't wait to read that book! Good luck! I don't know, I haven't read spooky books! :( That's why I really want to win one. LOL your reply is one of the best ever =P Good luck! My favorite spooky read is Anna Dress in Blood! Thanks for the giveaway! I have that on my must read list =) You are very welcome! Good luck! I love the Exoeriment in Terror series by Karina Halle. I will have to look that one up! Good luck! I watched the movie and that was scary enough I can't imagine the book! Good luck! That one was very chilling! Good luck! I'm going to go with Carrie by Stephen King, simply because nothing has ever trumped the gore and horror in that book, AND it was fabulously written! Ohh that one was creepy!! I have the chills just thinking about it lol! Good luck! I will have to look that one up =) Good luck! I still need to read that one! Good luck! Thanks... Sounds like a good book! Anything by Stephen King or Jeremy C. Shipp! I haven't heard of Shipp before so I will have to look him up! You are very welcome! Good luck! Anything by Stephen King. Thanks for the chance to win! He is definitely the king of horror! You are very welcome! Good luck! I am a huge S King fan, I love all his books! That's a toss up between The Devouring and Bad Girl's Don't Die. I haven't read Bad Girl's Don't Die, I will have to look that one up =) You are very welcome! Good luck! You are very welcome! I still need to try Koontz =) Good luck! I really don't like reading scary books.. The scariest I've read is Anna Dressed in Blood. LOL Tina is right there with you =P Good luck! I don't really have a favorite but really enjoyed Anna Dressed in Blood! Thanks! I can't wait to read that one! You are very welcome! Good luck! The most recent book would have to be TEN by Gretchen McNeil!! I have that one in my pile! Good luck! The Shining! Thanks for being in the hop! Good choice! You are very welcome! We have had a blast with it =) Good luck! Sybil has always been one of my favorites. Thanks for the chance. Nice choice! You are very welcome! Good luck! Devil's Kiss by Sarwat Chadda, Thanks for the chance at this great giveaway!! I forgot all about that one! I need to move it up on my list =) You are very welcome! Good luck! Okay that just sounds spooky lol! Good luck! I don't know if it is spooky or just scary but the book that still haunts me to this day is Gerald's Game by Stephen King. Thanks for being a part of the hop and for the giveaway! That is one of the few King books that I still need to read, I will have to move it up on my tbr =) We have loved being a part of it! Good luck! Still, hands down to this day, "Stories That Scared Even Me" by Alfred Hitchcock! I had to read it with the lights on! Hitchcock is a legend! Great choice! Good luck! I am hoping to get to that one soon =) Good luck! It would probably be The Diviners! I really want to read that one soon! Good luck! That's okay =) Good luck! I had to run over that one with my car, it scared the you know what out of me!! lol! Good luck! I haven't read any scarey books. I would love to thought. What is your favorite scarey book? Thanks for the giveaway. I do have this book on my tbr pile. This book sounds great. Hmm my favorite right now would be The Hallowed by Laura Bickle. I am still scared to go in my basement lol! You are very welcome =) Good luck! I haven't really read any scary books. The only one I can think of is The Forest of hands and teeth which has zombies in them and they freak me out. Thanks for this great giveaway! I really want to read this book. I love Darynda Jones books. Thanks. Great pick! I really need to read those soon! You are very welcome! Good luck! I actually don't have one, but anything by Stephen King is pretty creepy! The First Days by Rhiannon Frater! She is on my must read list for 2013! Good luck! Scary stories to tell in the dark is my fave when i was a kid! Thanks for the great giveaway! LOL I loved that book! Good luck! That one is creepy with a capitol C! Great choice! Good luck! I really need to read that one soon! You are very welcome! Good luck! Awesome pick! You are very welcome! Good luck! Blood Lite III is an anthology with some pretty creepy stories in it. 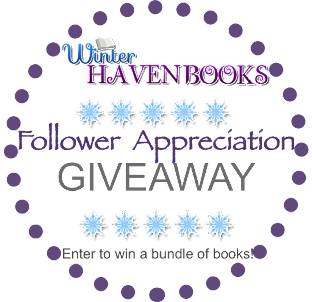 I have them both on my tbr =) Good luck! I love The Sleepwalkers by Gabriel Gates. Those are great picks! Good luck! I did too! Good luck! LOL that's okay =) Good luck! I love reading anything by Neil Gaiman! Thanks so much for this great giveaway and Happy Halloween! I have him on my must read list! You are very welcome! Good luck! I need to read that one soon! Good luck! I haven't read a spooky book. The scariest movie that I've watched is Silent Hill. I am staying away from that one lol! You are very welcome! Good luck! I really loved TEN by Gretchen McNeil! I am hoping to get to that one soon! Good luck! I haven't really read any books that I thought were spooky. Anna Dresses in Blood was kind of creepy though. I loved the Legend of Sleepy Hollow! Good luck! I love that series! Good luck! I love the I Am Not A Serial Killer sseries by Dan Wells. Probably something by Carrie Ryan.